The island’s interest in fitness continues to gain momentum, and endurance events are growing in popularity as athletes from Guam test their mettle against themselves and some of the top competitors in the region. 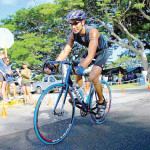 No matter whether an athlete’s tastes lean toward running, swimming, cycling or the combination of all three, there’s an event to quench every endurance junkie’s thirst, and as interest grows, Guam is becoming more and more inviting to sports tourists. Ben Ferguson — executive director of Pacific Islands Guam, managing director for Guam Sports Events Inc., and president of the Guam Cycling Federation — plays one of the busiest roles in the island’s endurance scene. “Let’s just say I don’t lack for things to do on a daily basis,” he says. Guam Sports Events Inc. is the lead organization for a number of endurance competitions on island, including the Guam International Marathon and the Tour of Guam cycling event. 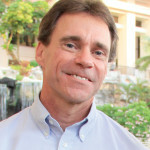 In addition to organizing events, Ferguson participates in marathons and cycling events around the world in an attempt to make the Guam endurance scene a sports tourism haven. He is training for a marathon in Osaka, Japan, and prior to that, he will be attending an event director conference in Portland, Ore., where he will participate in a marathon as well. Ferguson has also done the same thing with cycling events. In May, he traveled to Japan, participating in several events that hosted thousands of participants. He says that, just like participating in the marathons, this is a great opportunity to view these events firsthand from a riding perspective and see what the riders’ expectations are. 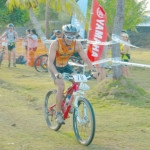 Eric Tydingco, race director for Xterra Guam and chief operating officer at Pivot LLC, is also optimistic about the possible boost in sports tourism in the months ahead. In spite of the rigorous fees required to use the Xterra name, the event has continuously paid for itself over the decade since its inception on Guam, with triathletes from all over the world coming to bolster Guam’s growing sports tourism industry, he says. 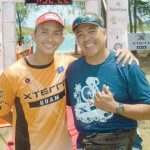 The Guam leg of the Xterra races has been an official part of the Xterra American Tour for nearly 10 years and was first established as a “championship” level event in 2012. In addition to drawing in international pro athletes, the competition has also attracted many local athletes — including many members of the local business community — who are looking to test their wills against the best in the world. 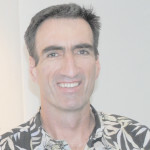 Some competitors over the past few years have included Tydingco himself; Gabriel F. Lombard, real estate appraiser at Cornerstone Valuation; Joshua A. Tyquiengco, public information officer at Guam Visitors Bureau; David M. Torre, senior project manager at Take Care Asia; Joaquin P.L.G. Cook, vice president at Bank of Guam; and Theron Holloway, vice president of dck Pacific. “Theron [Holloway] is an endurance athlete, for sure,” Tydingco says, adding that the dck vice precident has been an avid participant in multiple triathlons. Holloway recently flew to Canada to participate in Ironman Whistler, his second Ironman competition this year and plans to take on another Ironman in Western Australia before year’s end. The marathon events consist of a 5K race, a 10K race, a half marathon and the marathon proper. 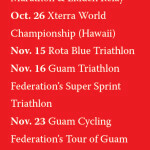 The Guam Triathlon Federation is a nonprofit organization that sponsors triathlons around the island. While not as big of a name as Xterra, the organization is very popular among Guam’s triathlete community, with celebrated triathletes like Torre, Lombard and Mieko Carey, four-time Xterra Japan champion, serving on its board of directors. Mark D. Cruz, regional environmental coordinator for Naval Facilities Engineering Command Marianas and the federation president, says that the group — in a collaborative effort with LeoPalace Resort and the Guam Visitors Bureau — will be hosting the first annual “LeoPalace Cup” on Sept. 27. The race will be an Olympic-distance triathlon. The event is expected to bring in more than 50 triathletes from Tokyo and Osaka, and the federation has been in talks with Guam Sports Events Inc. about possible future sponsorship if the event is as successful as planned. Focusing more on cycling, Horton — the vice president of Guam Cycling Federation — discusses cycling events that will take place in the coming year. “Things are probably going to die down a bit after our summer series,” he says. “We’re preparing for the big GCF Tour of Guam, which got moved to a new date. 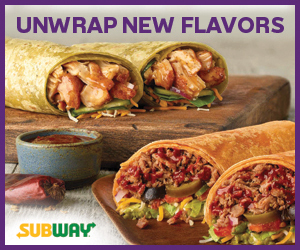 We just had it in January, but since the new race date is in November, we’ll be having it twice this year. It’s a huge road race, though. We field 200 to 300 people, and there are a ton of off-island competitors.” Horton adds that many of the island’s businesspeople will likely be participating in the upcoming races. 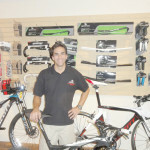 Husslein actually rode a bicycle coast-to-coast across the continental United States in 2010. Covering a total of 3,240 miles in 41 days. The entire trip — entitled the Little Big Ride — was done to raise donations for Big Brothers Big Sisters of America, and Husslein raised more than $100,000 in donations by the end of his journey. Tydingco, Ferguson and Horton also have details about a new series of back-to-back off-road endurance bicycle races, the first of which took place on Aug. 17 and 24. The races are six-hour individual and three-person relay events, with the winner being determined by who completes the most laps in the given time period. However, the three men expect that the event will grow in popularity and length as time goes on. Tydingco says the races were inspired by 24-hour races held around the world and that the race planners hope to increase the time period gradually, ramping it up to the full 24-hour period. The trail for the races is located at Two Lovers Point and was designed to be of low to medium difficulty so that anyone can join.